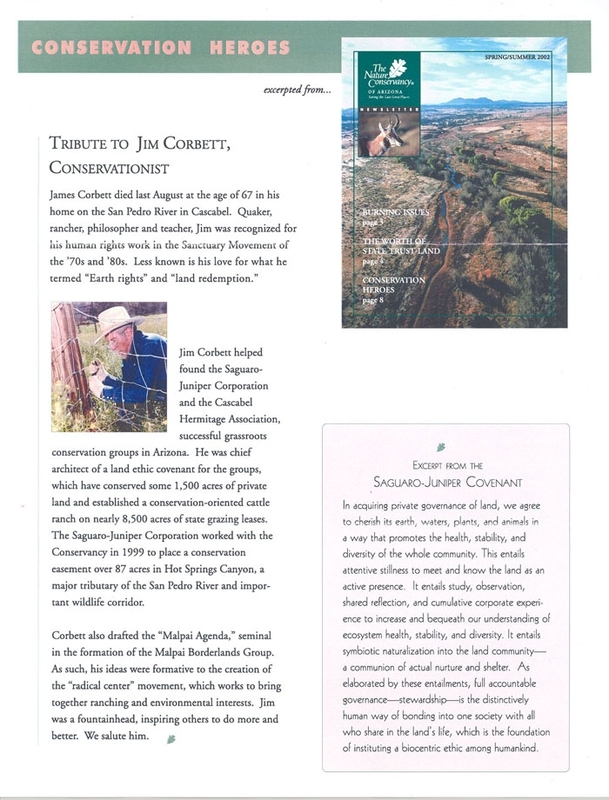 This page is devoted to the memory of Jim, emphasizing his efforts during the last years of his life in organizing and pursuing ecological projects in the Sonoran/Chihuahuan Desert region, including formation and development of several incorporated groups -- first, the Goat and Garden Group (1981), then Saguaro Juniper Corporation (1988) and the Cascabel Hermitage Association (1996). This page will develop as a work in progress. 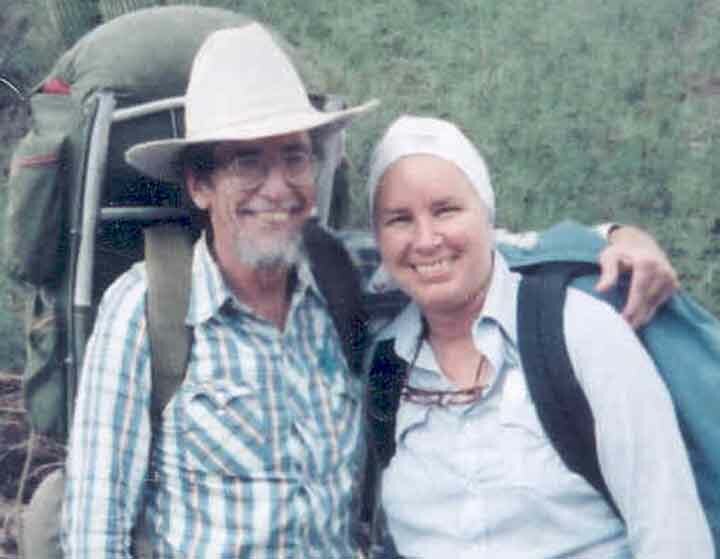 After a quotation from his own work, we begin with our own account of Jim's death, followed by links first to copies of a number of his obituaries published in local, regional, national, and international newspapers (which mostly recount his work in the Sanctuary Movement), second to an essay that elaborates his ecological ideas and his San Pedro River efforts, and further essays will be included from time to time. Life is just a moment, they say. One's name must be carved deep into history's bedrock, to last a moment longer through time's endless erosion, they say. On the prairie, when the wind wails a dirge and snow sifts in rivulets through the sagebrush, I've hugged the sticky-pink, death-chilled body of a newborn lamb under my coat, and its heart fluttered in reply. 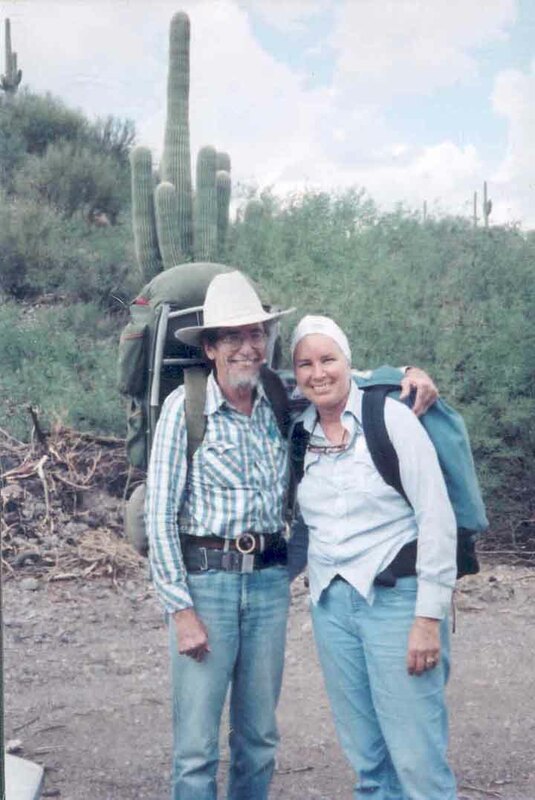 In 1987, when Jim was proposing a group purchase of 135 acres of land newly up for sale in the ecologically vulnerable center of Hot Springs Canyon, he asked us, "What would you say if I told you about a place where a juniper is a nurse tree for a Saguaro?" 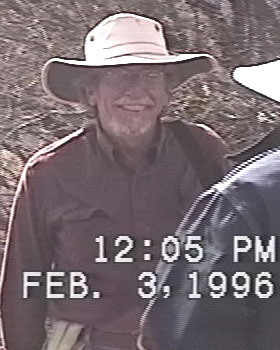 Jim died at El Potrero, Cascabel Arizona, on Thursday, August 2, 2001, at about 7 am. A few days after our Saguaro Juniper meeting on June 3rd, Jim began having headaches, dizziness, difficulty walking, and nausea. The symptoms got progressively worse and early in July, Pat took Jim into University Medical Center for diagnostic tests. He was diagnosed having a very rare condition  the source of which could not be found -- that sends antibodies to attack his cerebellum. The doctor estimated he had two to four weeks to live. 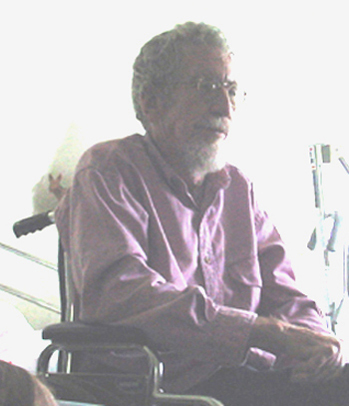 On July 23, the doctor authorized home hospice care and Jim returned to El Potrero, where he was supported by a team of very close friends who made him as comfortable as possible. Though his condition continued to deteriorate rapidly, he remained calm and alert to the end. On the day before he died, Jim told a friend, Im going on a journey but I dont know where. His last words to Pat were I love you, and then, We should go move cows tomorrow. He died in his sleep. Jim was putting the finishing touches on a new book when he died. He entitled it "Cowbalah", a friendly pun on his Judeo-Quaker pastoralism. 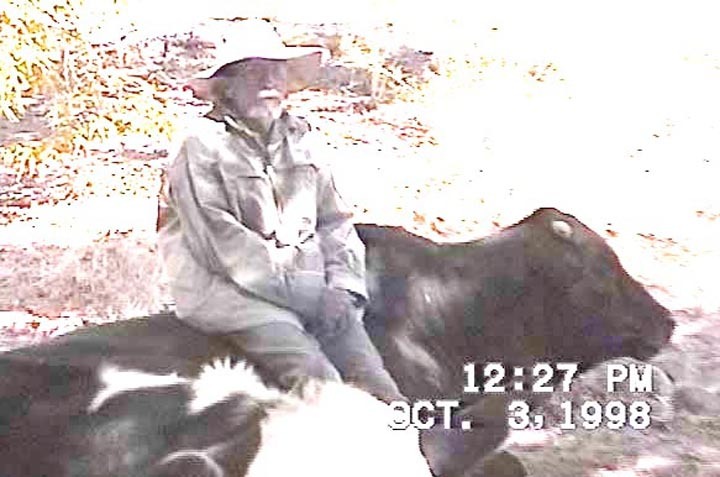 It is in some regards a follow-up to his previous book Goatwalking(1991, Viking Penguin), as well as reflective of his interests after working in the sanctuary movement. The book has now been published under the title "Sanctuary for All Life"
( by Howling Dog Press, 2005) with a foreword by his good friend and sanctuary movement cohort, Fr. Ricardo Elford. 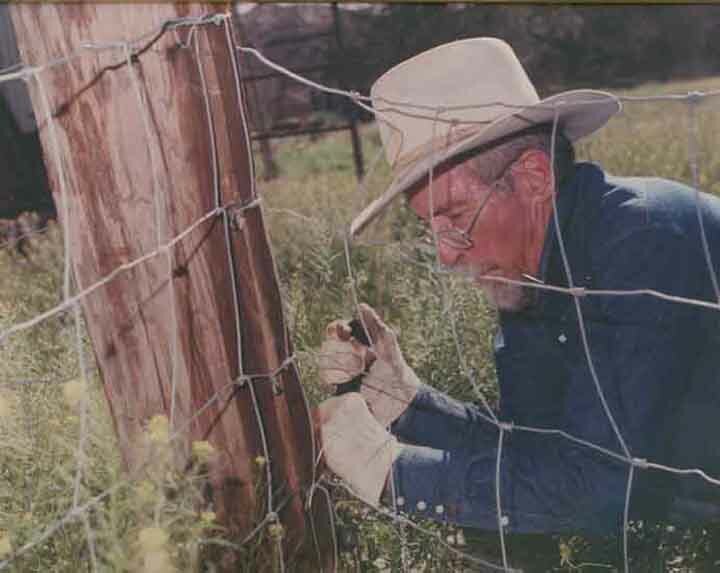 While it is perhaps even more philosophical and religious than his earlier work, he uses his particular experience with cattle to expound upon wide-ranging themes centered around what he termed "land redemption". 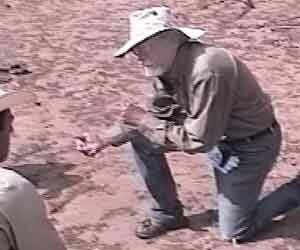 Below: at a Saguaro Juniper meeting in 1996.